Our wholesale winter wear is sold by the case. All our products are made with quality materials and will not tear or rip. SHOP TODAY! Neon Hats w/ Pom Pom $1.59 Each. One size fits most. Hat with Pom Pom in Neon Colors for that new fresh look.Case of 144.. 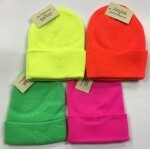 Neon Winter Hats $1.39 Each. One size fits most. 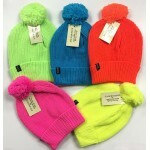 Neon Colors for that new look.Case of 240..
Peruvian Hat w/ Pom Pom $1.25 Each. Ladies and Girls Neon Hat with Pom Pom.Case 144..
Peruvian Neon Hat $1.25 Each. Ladies and Girls Stripe Neon Hat with Pom Pom.Case of 144..
Polar Fleece Blanket $2.79 Each. 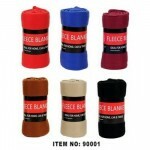 Solid Colors Fleece Blankets size 50" x 60" .Case of 48..
Unisex Winter Scarfs in Pre-assorted colors.Case of 144..
Unisex Winter Ribbed Solid Hat $0.89 Each. Fly under the radar with this ribbed Beanie for men. This hat is perfect for the days where yo..
Winter Black Hat $0.89 Each. Winter Black Hat for young adults and men.Case of 144..
Winter Men's Hat $1.25 Each. 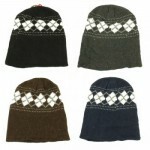 Diamond Print winter hat for young adults and men.Case of 144..
Winter Ski Sport Hat $1.35 Each. 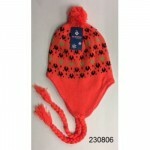 Wholesale Winter Ski Hats Lined in a new style hat for a modern look. 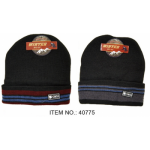 they come in pre-assorted colo..
Winter Sport Men's Hat $1.35 Each. 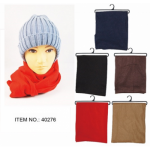 Wholesale winter sport men's hat lined in pre-assorted colors. These hats are stylish for that moder..
Stay warm and in style with this awesome beanie from X-sport. This beanie features X-Sport newest em..
Women's Chenille Lined Hat $1.25 Each. High quality Chenille lined thermal hat. Ideal for cold winter days and outdoor sports. Ke..